3.5 out of 5 based on 37 bloggers and 9 commenters. 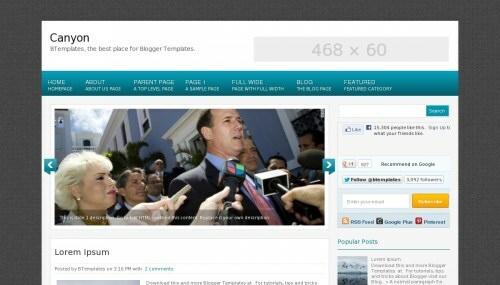 Cany general topicon is a free blogger template adapted from WordPress with 2 columns, right sidebar, ads ready, footer columns, slider, posts thumbnails, drop down menu, a background pattern and neutral colors. thanx gan i like this template! this is a very very nice tamplet..
its a very nice site..